Interlocking systems are vital to ensure that process operations occur in the correct sequential order. Minimising the possibility of human error, they protect workers from injury and property from damage. Sean Ottewell reports. Trapped-key interlocks offer enhanced safety and efficiency for the most difficult process management challenges. 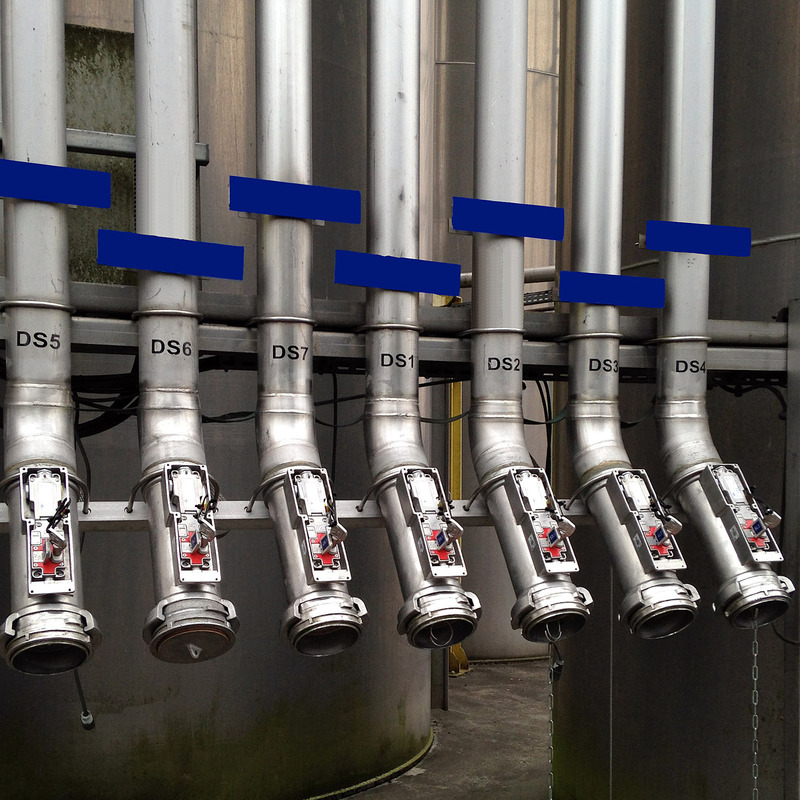 Mounted directly to valves, interlocks ensure a process only happens in the correct operational sequence. Trapped-key Interlocks for handwheel-operated valves are different from those for lever-operated valves, as the latter only have a finite movement (normally 90°). Interlocks on handwheel-operated valves, however, usually require several full revolutions between the locked open and locked closed positions. Because of this, handwheel operated interlocks need to be able to ‘count’ the number of handwheel turns in order to release keys in the required open and/or closed positions. Similarly, with gate and globe valves, the closed position can vary through the effects of valve seat wear. After a period of use, the closed position on gate and globe valves may have altered. This can mean that when the valve is shut tight, the interlock (closed) key will not release as the valve has travelled past the original set key release position. Smith Flow Control’s (SFC’s) GL Interlocks are suitable for this scenario as they can be adjusted in-situ in a matter of minutes simply by operating the valve back to the original key release position in two easy steps: using the special tamperproof tool (provided), the interlock cover is removed and the set screws adjusted; and the valve is then operated again to its shut tight (closed) position and the screws are retightened (reset) in the new position. SFC says this simple in-situ adjustment feature is unique to its interlock and provides a fast and efficient method of maintaining valve interlocks on site. In other valve interlock news, Netherlocks has launched a series of practical training courses aimed at enabling valve technicians to develop basic skills on installing, setting and troubleshooting valve interlocks. The company’s ‘advanced interlock technician training’ course is particularly beneficial to offshore facilities. Here small and relatively simple adjustments and repairs can be quickly carried out by local staff, eliminating the need for an external specialist who has to be flown in specifically for this purpose. “This saves valuable time and money. In general, improving installation and troubleshooting skills will lead to smooth operation of valve interlocking systems and enables quick response to small malfunctions,” notes the company. Netherlocks has over 750 valve interlocks installed on five offshore locations in the North Sea and a recent two-day course allowed employees of the client BP to improve their technical knowledge on multi rotation (MRL) and ninety degree (NDL) valve interlocks and to gain experience in installing, maintaining and (re-) setting mechanical valve interlocks. According to Kevin Knetsch, senior service engineer at Netherlocks and course leader, proper installation and setting of interlocks are of vital importance: “Offset can result to keys being stuck, preventing them to be inserted and released.” As an expert engineer, having installed thousands of valve interlocks on numerous applications, Knetsch is well aware of the added value of hands-on installation and troubleshooting skills. “For this reason, practical training is the most important aspect of this particular course,” he added. Another important function of interlocks in the process industry is to prevent drive-away incidents. Castell’s Salvo loading dock safety system drive-away prevention products promote safety on automatic and manual loading dock doors. The brake line interlocking system minimises the possibility of human error to protect workers from injury and property from damage. Fast, safe access is an important issue in loading docks. The Salvo system prevents injury and damage to loading platforms by making it impossible for trucks to drive away during loading or unloading. Salvo’s Glad Hand Lock attaches to the truck’s emergency brake line, ensuring brakes are applied. This provides worker safety and ensures compliance with vehicle loading regulations. A number of custom Salvo configurations are available. The range includes manual and automatic door systems, brake line locking options, accessories and a new efficiency enhancing software program, DockMonitor. The software captures operational data such as loading time, number of operations, idle time and available time, measuring performance while still guaranteeing safety. Also working in the same area is SERV Trayvou Interverrouillage (STI). The company has improved its RGV range of hose coupling safety products, which are fitted to silo inlet pipes, to ensure tanker drivers deliver their load to the correct silo. Now lighter, more resilient and easy to use, the latest version of the RGV enables the safe transfer of goods via trapped-key interlocking technology. The RGV range requires operators to receive authorisation from the control room before the process can begin. Depending on the type of product being used, this authorisation is given either by the hose coupling being unlocked remotely or through the use of an interlocking safety key. The addition of an inductive proximity sensor indicates that a tanker driver is transferring their load. To connect this product to the silo, the operator must obtain the dedicated coded key from the loading manager. Each silo has a corresponding key to avoid load transfer errors. This solution can be used in conjunction with STI’s RFID key management panel, Smart Key Manager, to ensure optimum safety and traceability. STI also has a new electromechanical RGV. To connect this product to the silo, the operator has to liaise with the loading manager and wait for authorisation from the control room before coupling the hose and starting to unload. Access to the coupling is granted directly from the control room. Electrical contacts can be added to either version of the RGV to enable monitoring from the control room. Supervisors can see which RGVs have been made available to tanker drivers and those that have hose couplings attached. SmartKey+ is the latest extension of Smith Flow Control’s key management systems. Key cabinets provide a safe and visual way of storing interlock system 'initiating' keys. SmartKey+ has been developed to provide all the features of SFC’s visual alert key cabinet, along with the ability to record movements of keys in real-time, providing complete accuracy. The new cabinet uses radio-frequency identification (RFID) technology which allows a key to be tracked with complete confidence, providing operator and control room personnel with information on interlocked processes and their status. Full transaction history is available, revealing details of key insertion/removal. The unit is designed to support a remote web interface, without any specific licence. SmartKey+ has enhanced levels of system security. All keys are trapped in the cabinet until authorisation is granted; a user is identified by a pin code. SmartKey+ highlights specific key positions that the operator is authorised to use. The user selects the appropriate key from the panel and removes the key as the selected key position is unlocked. To reinsert a key in the SmartKey+ Cabinet, the user scans the key in front of the integrated scanner and the appropriate key position is highlighted on the frontal display for re-insertion. The SmartKey+ Cabinet is configured around a central control panel capable of running a system with over 500 keys. SmartKey+ is comprised of modular sections, each containing 18 key positions, and can be increased incrementally. SFC says its SmartKey+ provides a unique solution to key management, combining innovative software and smart technologies.